Middlemarch Research Papers discuss a novel by George Eliot that looks at different viewpoints on marriage through different relationships. Research papers on works of literature are custom written at Paper Masters. 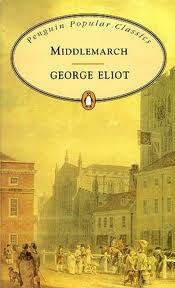 Research papers on Eliot's Middlemarch can be ordered to focus on any topic you need explicated. Mary Ann Evans (1819-1880), gained fame writing under the pen name of George Eliot and is regarded as one of the great writers of Victorian literature. Eliot lived with her mentor, George Henry Lewes, a married man whose wife refused a divorce. She considered him her husband, an implied criticism of the existing marriage and divorce laws in many of her works. When Lewes died in 1878, Eliot married John Walter Cross in May of 1880. Sadly, she died less than a year later. Brooke Casaubon’s decision to give up the substantial estate of her late husband, so that she can marry Will Ladislaw, gives insight regarding the more meaningful reasons to marry. Mrs. Bulstrode’s continuing support and care of her deceitful husband provides a good example of loyalty in marriage. The marriage of Caleb and Susan Garth stands tall among those described in Middlemarch. Both Caleb and Susan have high moral standards. Both support each other fully, their support based on a deep understanding of each other. Susan Garth, an extraordinary role model, cares for her husband in a highly sensitive manner, knowing when to urge him on, when to scold, when to advise caution, and when to leave him alone. Susan Garth even supports her husband when he puts his family in financial jeopardy by backing Fred Vichy. She understands Caleb’s love, kindness, and generosity, characteristics which make him both a good husband and a good father. So, while upset by Caleb’s indiscretion, Susan conceals her distress, and continues supporting the man she loves. Mary Garth, Caleb and Susan’s daughter, benefits from their example. Her eventual marriage to Fred Vichy, whom she has loved since an early age, and by whom she has been loved in return, shows great promise of success. Mary uses her strength, common sense, and directness to motivate Fred, who tends to be somewhat lazy. Mary pushes him by saying, "You have a conscience of your own, I suppose" . Fred goes to college, with intentions of becoming a clergyman, but finds the proposition quite boring. He sees himself as being "at seas" and hopes to salvage his life through an inheritance. Mary, of course, refuses to let him get away with this. The Modern Mood Research Papers go into the characterization of twentieth century British literature. Alfred Lord Tennyson Poems research papers discuss the Tennyson's most famous poems Ulysses, Tithonus, and Locksley Hall. Tennyson Poems essays take a look at several of Alfred Lord Tennyson's famous poems including Ulysses, The Charge of the Light Brigade, Tears, Idle Tears, and Crossing the Bar. Paper Masters writes custom research papers on Middlemarch and discuss a novel by George Eliot that looks at different viewpoints on marriage through different relationships.